Remarks for the World Society of Victimology Conference, Hong Kong, 10 June 2018 by David Matas. I presented a paper to the 2015 World Society of Victimology Symposium in which I advanced the thesis that combating the worst victimization, rather than the best established or the most likely to change, is the best strategy for promoting respect for human rights. The presentation used China as a case study and the human rights abuse of the killing of prisoners of conscience for their organs. The purpose of the present paper is to reevaluate the thesis in light of developments during the past three years. Is the thesis still tenable, from the perspective of the China case study, that the best strategy for pursuit of respect for human rights is to give priority to the worst violations, rather than the best established or the ones most amenable to change? The answer to that question, I would say from the perspective of three years hindsight, is a qualified yes. Before I get into answering the question, allow me to say a few words by way of background. Falun Gong is a set of exercises with a spiritual foundation begun in 1992 in China by teacher Li Hongzhi and repressed by Communist Party policy in 1999. It is the Chinese equivalent of yoga – a blending and updating of the Chinese Buddhist and Taoist spiritual traditions and the Chinese qigong exercise traditions. 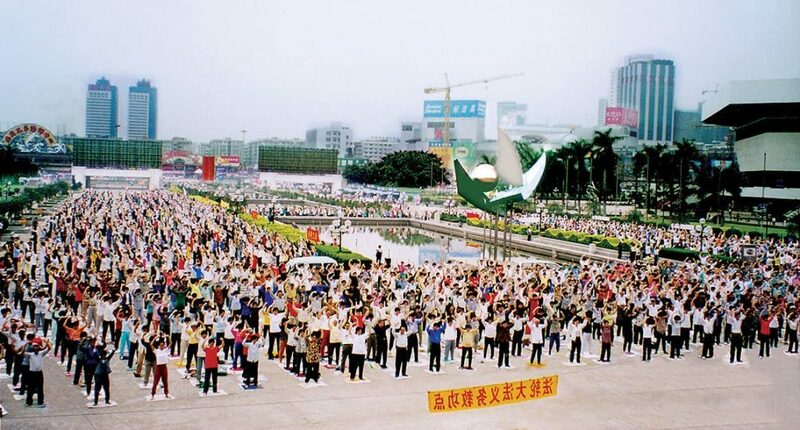 The popularity of the practice of Falun Gong, once it started, exploded. According to the Party/States own estimates, the number of practitioners went from nothing to seventy million in the course of seven years, from 1992 to 1999. Private sources suggested that this estimate of seventy million was too low, that the figure was closer to 100 million. The practice of Falun Gong was everywhere in China and everywhere throughout society. It pervaded even the Party itself. The exercises were done outside in groups. There were 3,000 exercise stations in Beijing alone. The Chinese Communist Party itself was partly responsible for this rise in popularity. The Party initially encouraged the practice of Falun Gong on the basis that it was beneficial to health. However, the Party got blindsided, not anticipating how successful its encouragement would be. In 1999, the practice was repressed without being legally banned because of its popularity and the fear it generated within the Communist Party of its continuing ideological supremacy. Practitioners of Falun Gong protested the Party repression decision, taken aback that the Party could ban a peaceful, non-political set of exercises and thinking it must be a misunderstanding. Protesters were arrested. Those who recanted were released. Those who did not recant were tortured. If they recanted after torture, they too were released. Those who did not recant after torture were arbitrarily and indefinitely detained. They disappeared, in the hundreds of thousands, into the Chinese gulag. The Party became determined to eradicate Falun Gong by any means, including mass murder. One of the eradication policies directed against Falun Gong was exactly that, what the Party euphemistically called “eliminating them physically”. Shortly after the mass detention of Falun Gong and the policy of mass murder was adopted and disseminated, transplant volumes in China shot way up. It took a few years for outsiders to realize what was going on. But David Kilgour and I, in a report produced first in 2006 and in book form in 2009, both under the title Bloody Harvest, concluded that this policy of physical elimination of Falun Gong took the form of mass murder through organ extraction. The Party monetized the bodies of Falun Gong practitioners, making billions for the health system. In China, the killing of prisoners for their organs has not been uniquely focused on Falun Gong. It has included prisoners sentenced to death, a source the Party has openly acknowledged. It also has included other prisoners of conscience – Uighurs, Tibetans, and House Christians, mostly, but not only Eastern Lightning. The sourcing of organs from Uighurs predates the repression of Falun Gong. Ethan Gutmann, a journalist who did his own work in this area, published a book called The Slaughter where he sets out the evidence about these other prisoner of conscience victims. For the Government of China, the persecution of Falun Gong is so central to their hold on power that they do not want to discuss it. Discussion of the repression of Falun Gong in general and the killing of Falun Gong for their organs in particular is off the table. Insisting on objecting to persecution of Falun Gong potentially means ending discussion about everything else and forfeiting possibilities of change in areas where the Party may be more flexible. In my 2015 presentation, I had written that giving priority to the worst violations can generate change despite the seeming stonewalling of the perpetrators. With the killing of prisoners of conscience in China in general and Falun Gong in particular for their organs, has that, in the intervening three years, turned out to be true? One of the reasons I and other researchers came to the conclusion we did that organ transplant abuse against prisoners of conscience, primarily Falun Gong, is happening is that there were no precautions put in place to prevent it from happening. Forced organ harvesting in China is a multi-billion dollar business for which there were no penalties either in China or abroad. Only the Chinese can stop human rights violations in China. But outsiders have entirely within their powers actions to avoid complicity in Chinese abuses. To avoid complicity, there is much outsiders can do. Indeed, since I had prepared the paper for the 2015 conference of this organization much has happened. In June, 2015, the Taiwan legislature prohibited the sale, purchase and brokering of organs1 and transplant tourism2. The law provides that a doctor engaged in arranging transplant tourism could lose his/her license3. Patients who get organ transplants overseas must provide legal proof of the source of the organs in order to be eligible for state funded medical aftercare4. Any hospital which provides aftercare to a patient transplanted abroad must record the country and hospital where the transplantation took place and which organ was transplanted5. In December 2016, the Italian Parliament enacted legislation penalizing any person who sells organs from living people. The legislation came into effect on January 7, 20177. The legislation introduces a new Article in the Penal Code8 “Trafficking in organs taken from a living person”. If the act is committed by a health professional, the criminal sentence is to be followed by a ban from the exercise of the profession. The Council of Europe in March 2015 approved the Convention against Trafficking in Human Organs. To date, there are eighteen signatory states, and five ratifying states. The treaty entered into force March 1, 2018, that is to say just a little more than two months ago. The Convention requires states parties to criminalize forced organ harvesting and organ brokerage9. That Convention can be signed by the member States of the Council of Europe, the European Union and the nonmember States which enjoy observer status with the Council of Europe. It is also can be signed by any other nonmember State of the Council of Europe upon invitation by the Committee of Ministers10. The Council of Europe Convention addresses specifically extra-territoriality albeit limiting extra-territoriality to nationals. The Convention obligates states parties to criminalize violations of Convention standards by nationals of states parties abroad. Norway was one of the first countries to sign and ratify the Convention. In 2017, it enacted implementing legislation11. The Norwegian law states that its purpose is to prevent and combat trafficking in human organs12. The law bans commercial exploitation of organs, to demand, offer, receive or give profit or advantage for organs13. The law penalizes whoever makes use of, buys, preserves, stores, transports, transfers, receives, imports or exports organs that have been illicitly removed14. David Kilgour, Ethan Gutmann and I released in June 2016 an update to our previous work on transplant abuse in China by looking at transplant volumes. Our update is posted on our joint website, www.endtransplantabuse.org. The report is 680 pages and has almost 2,400 footnotes. We had, in the past, taken Chinese government official statements of overall transplant volumes at face value and focused on attempting to identify the sources for those asserted volumes. One effort which needed to be made and which we finally did make is to determine on our own what Chinese transplant volumes are. The numbers we got for transplants from individual hospitals, when added up, far exceeded the totals coming from Party headquarters. What that data told us consistently, hospital by hospital, looking at all factors in combination, was that transplant volumes in China are far larger than the official national figures. Looking just at minima for bed and staff and looking just certified kidney and liver transplant hospitals, we got to between 53,000 and 60,000 transplants a year. Once we add to that the heart and lung transplant centres, the fact that many certified hospitals are operating far beyond minimum levels and that some hospitals not certified still continue to do transplants, we got a much larger figure. We concluded that the transplant volume range is between 60,000 to 100,000 a year. (6) called on the United States Department of State to conduct a more detailed analysis on statesanctioned organ harvesting from nonconsenting prisoners of conscience in the annual Human Rights Report, and report annually to Congress on barring provision of visas to Chinese and other nationals engaged in coerced organ or bodily tissue transplantation. 4. asserting a clear need to organise without delay an independent investigation into ongoing organ harvesting in the People’s Republic of China. Chinese transplant professionals and health officials have made an effort to be engaged in international transplant events and collaborate with international transplant personalities. Chinese government spokesman Huang Jiefu and others were active participants in The Transplantation Society Congress in Hong Kong in August 2016 and the Vatican sponsored Pontifical Academy of Sciences summit on organ trafficking and transplant tourism in February 2017 as well as its follow up in March 2018. They invited a delegation of transplantation professionals to visit China in August 2017. The official Chinese delegation took advantage of these fora to deny the evidence of ongoing organ transplant abuse. They were provided a setting where they did not have to confront and answer the evidence they denied. “China, once an organ transplant pariah, is now accepted as global leader after reform, papal recognition”16. These developments explain why my answer to the question whether the intervening years have reinforced the thesis that going after the worst violations first was the best strategy was only a qualified yes. As one can see, focusing on violations established from an accumulation of evidence, where the violations are not immediately obvious, leaves room for the violators to manipulate those not prepared to spend the time and effort to engage in their own assessment of a large body of evidence. Despite this disadvantage, I would suggest that, on balance, it still makes sense to focus on the worst violations. While a focus on the worst violations rather than those easiest to establish means that those looking for shortcuts will be lost to the human rights cause, on balance, progress is made. The alternative, ignoring the victims of the worst violations, is inhumane. David Matas is an international human rights lawyer based in Winnipeg, Manitoba, Canada.